Stylish and Comfortable - The Plum Lomography Ms. Tank Top is the absolute perfect garment for the globe-hopping, trendsetting, film-rocking and shutter snapping Lomographer! Youll never want to take it off! Perfect Fit - The cut and sew pattern is expressly designed for a slim and modern silhouette. Egyptian Organic Magic - The Egyptian cotton used for this T-shirt is certified organic. This makes it much stronger than your everyday fabric because the fibers have not been damaged or altered by chemicals. Like your favorite pair of jeans, your T-Shirt will last through a ton of repeated washings and wearings. 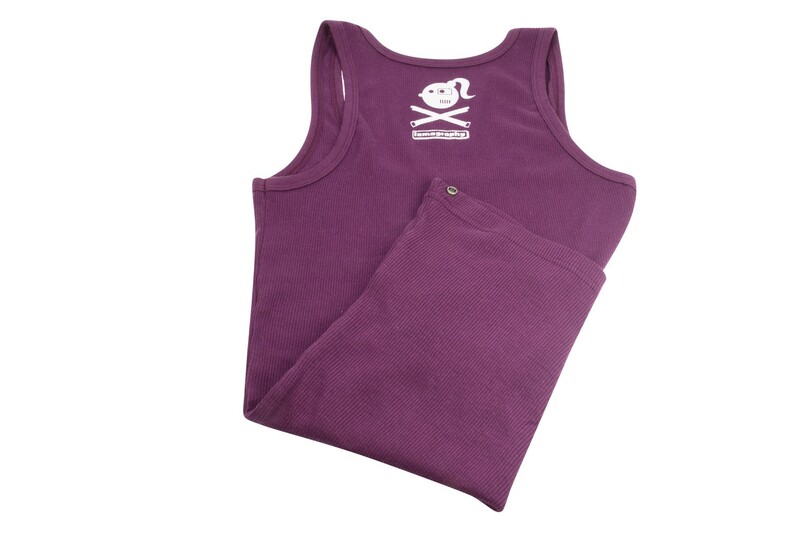 Environmentally Friendly - A conventional cotton T-Shirt needs about 4oz of chlorine for production. A Lomography T-shirt needs zero. Even the bold and durable white Lomo Girl screen print is 100% environmentally friendly. Conscious Production - Lomography Ms. T-shirts are produced in Egypt in one of the finest and most socially responsible firms in the world. Uniquely Designed Packaging - Each Lomography Ms. T-shirt comes in a beautifully analogue box exclusively designed by Lomography.